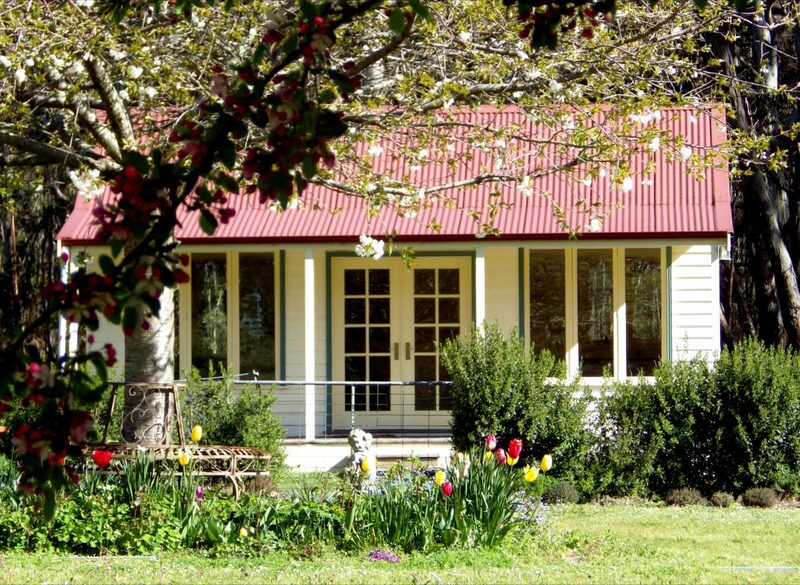 Located in the heart of Ashbourne in the Macedon Ranges, ‘The Retreat’ at Amryhouse is a self contained, beautifully appointed, luxury Victorian Miners Cottage. The detached cottage is new and offers private accommodation for two people in its open plan. The living area features include a kitchenette, a chesterfield couch, flat screen free to air television and a king size bed. Heating/cooling is by reverse cycle air conditioning. No matter the reason for your Ashbourne break, ‘The Retreat’ offers everything you need to relax. The only noise is the rustle of Kangaroos. The bathroom includes a cast iron bath for a leisurely soak. If you are looking for some down time from the hustle and bustle of everyday living we have you covered. 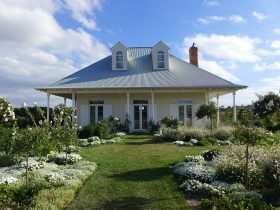 ‘The Retreat’ is situated on a very quiet 20 acres. Away from the main residence the property is partially bush and part developing gardens. A tennis court is available for guests. 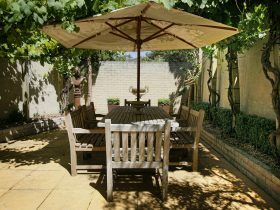 A private bricked paved area outside of the cottage is also an excellent spot to sample local wine you have uncovered from one of the Macedon Ranges wineries. A continental breakfast is of course included. 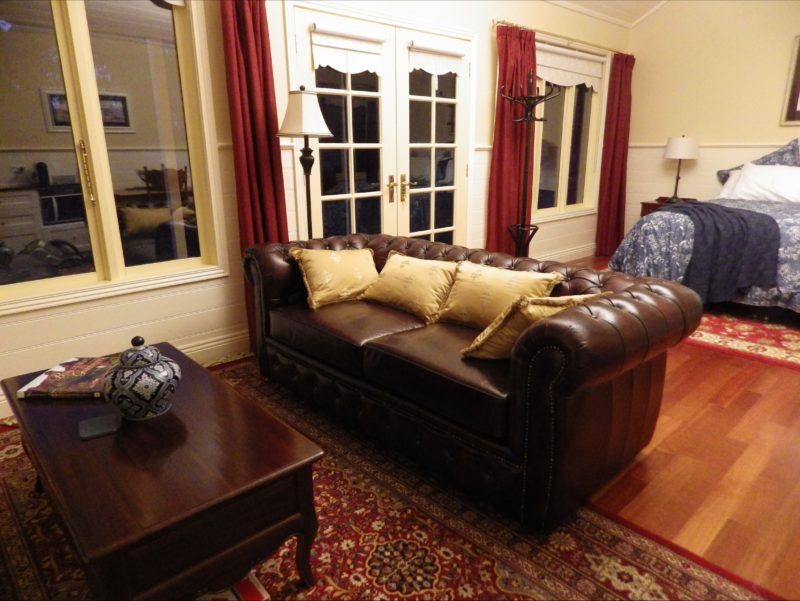 Located in the heart of Ashbourne in the Macedon Ranges, ‘The Retreat’ at Amryhouse is a self contained, beautifully appointed, luxury Victorian Miners Cottage. The detached cottage is new and offers private accommodation for two people in its open plan. The living area features include a kitchenette, a chesterfield couch, flat screen free to air television and a king size bed. Heating/cooling is by reverse cycle air conditioning. 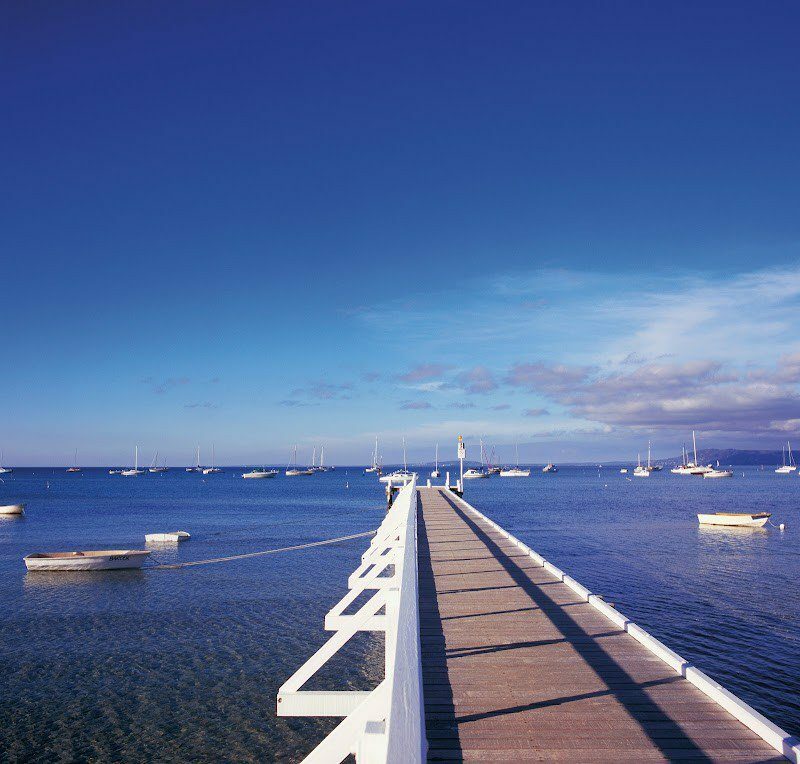 No matter the reason for your Ashbourne break, ‘The Retreat’ offers everything you need to relax. The only noise is the rustle of Kangaroos. The bathroom includes a cast iron bath for a leisurely soak. If you are looking for some down time from the hustle and bustle of everyday living they have you covered. 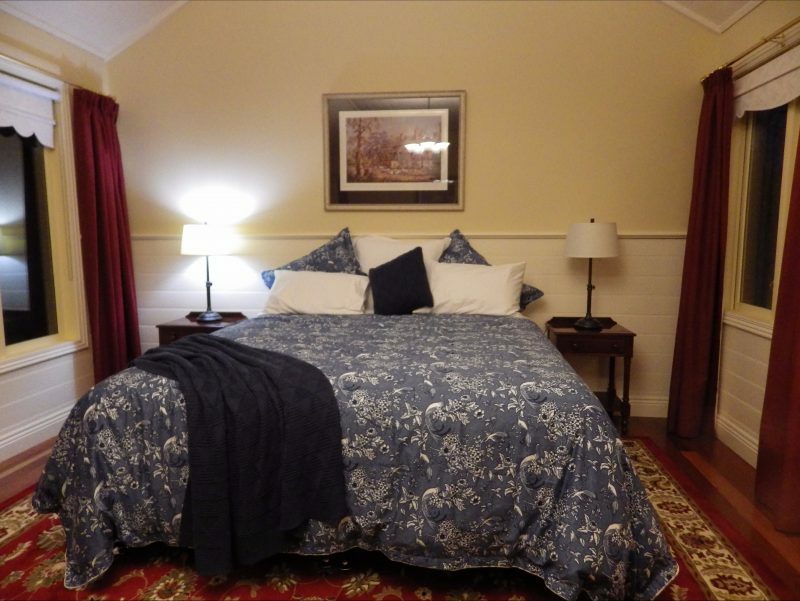 ‘The Retreat’ is situated on a very quiet 20 acres. Away from the main residence the property is partially bush and part developing gardens. A tennis court is available for guests. 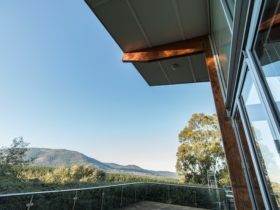 A private bricked paved area outside of the cottage is also an excellent spot to sample local wine you have uncovered from one of the Macedon Range wineries. A continental breakfast is of course included.